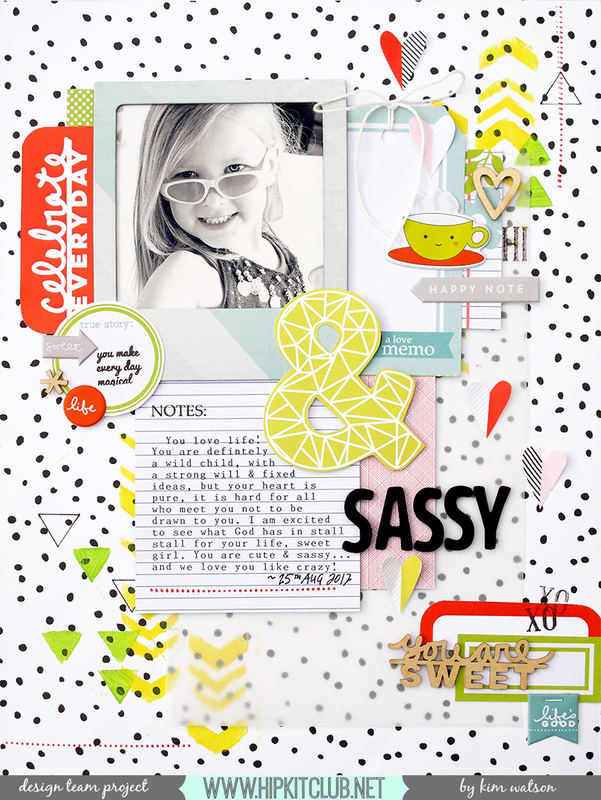 kim watson ★ design ★ papercraft: Scrapping with layers + yellow alert! 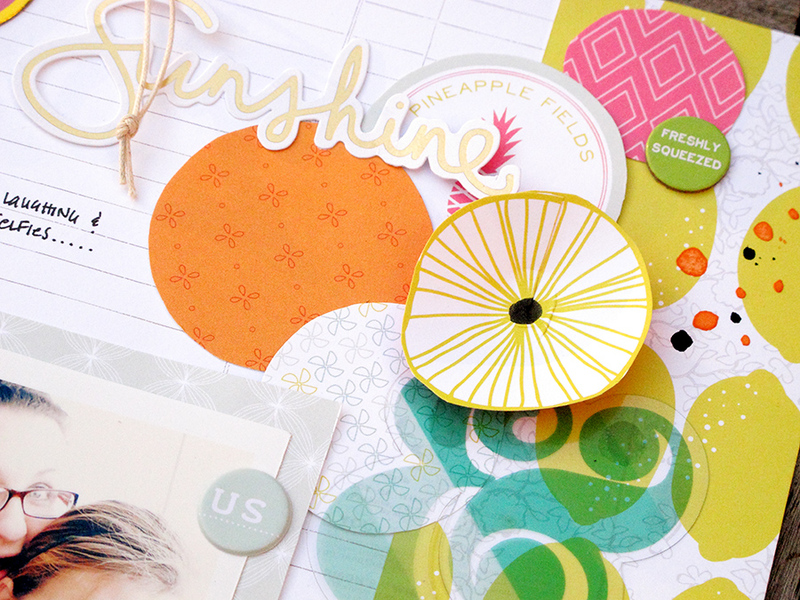 Scrapping with layers + yellow alert! I hope where ever you find yourself, that you are having the BEST time?! Here are some of my projects using the May Hip kit & add-ons. 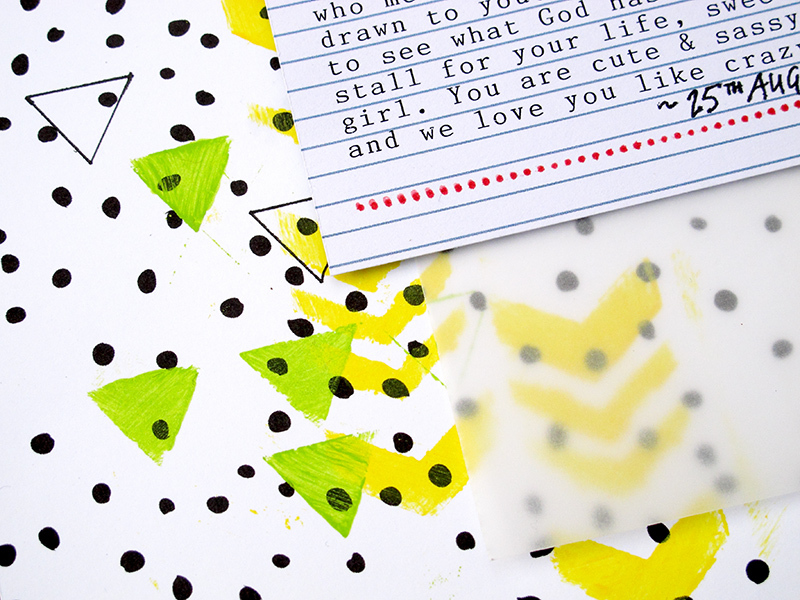 I am really enjoying the vibrant patterned papers & embellishment combinations!! 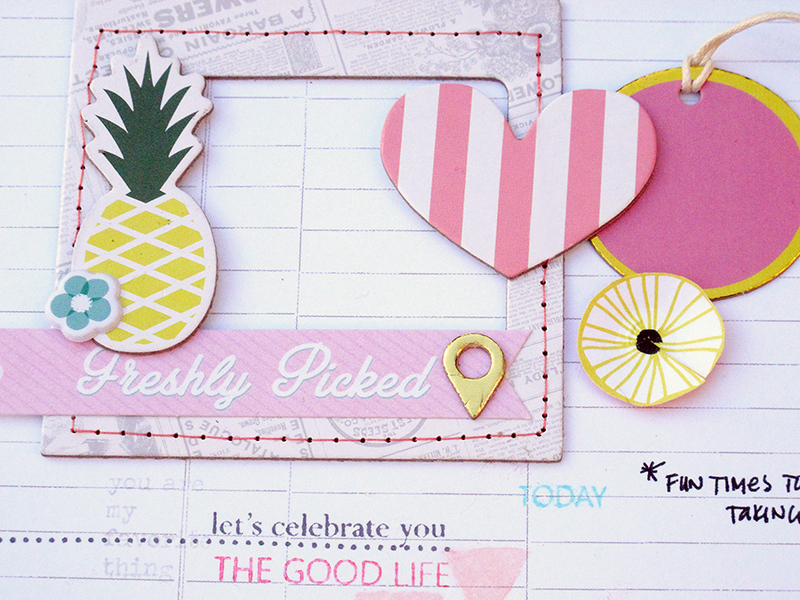 This week I thought I’d focus on the gorgeous Pink Paislee goodies from the #citrusbliss collection included in the kits. These photos are from a few years back, I find scrapbooking older photos as well as current ones, refreshing & keeps my albums fresh & interesting. 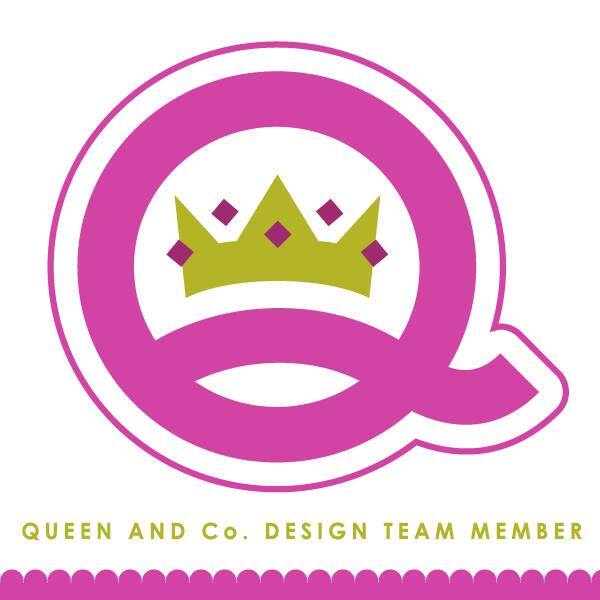 It was the citrus slices paper that sparked the idea of using circles in this design, which in turn sparked the idea of using some of the citrus cut-outs to make flowers. They add great 3D interest to my circle clusters. 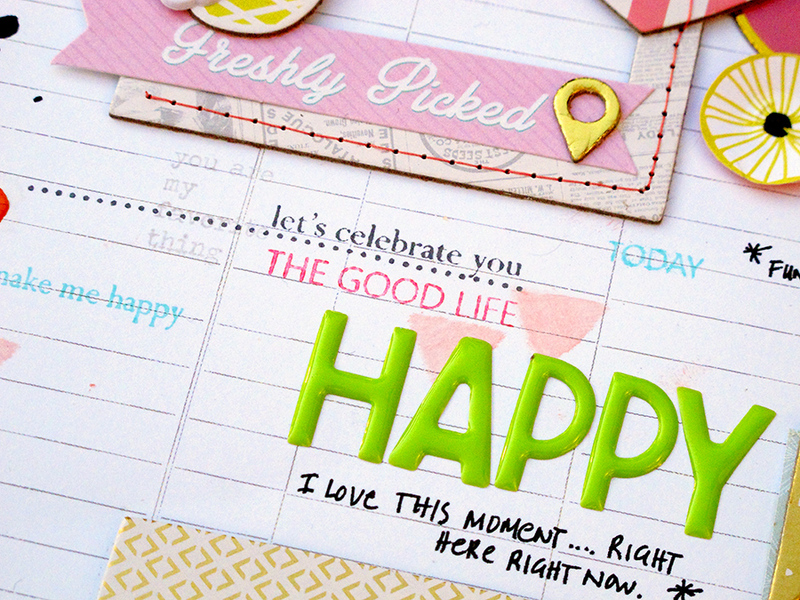 The cute stamp set from the May Color Kit & stencil…were a fantastic way to add subtle texture to my page. 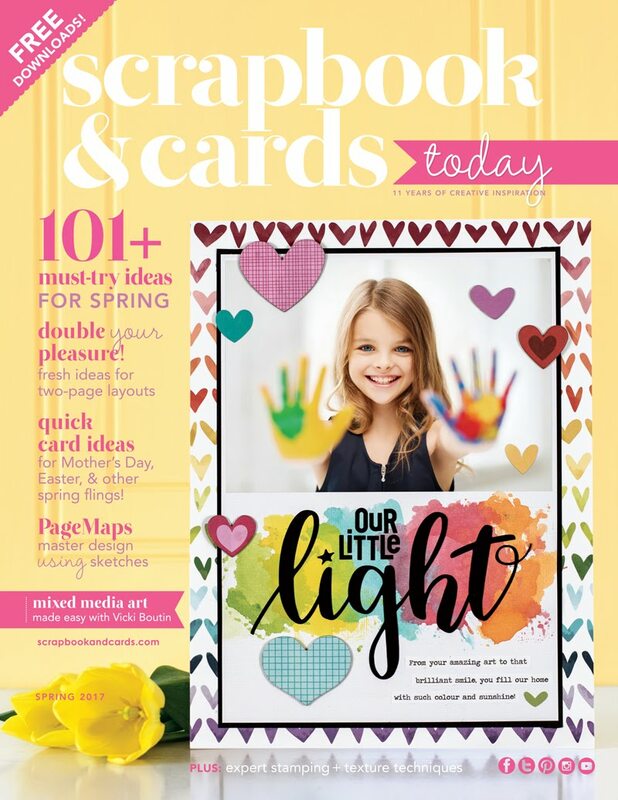 I layered the stamped images in soft colors around the page making sure to keep them understated, not to distract attention away from the focal areas. 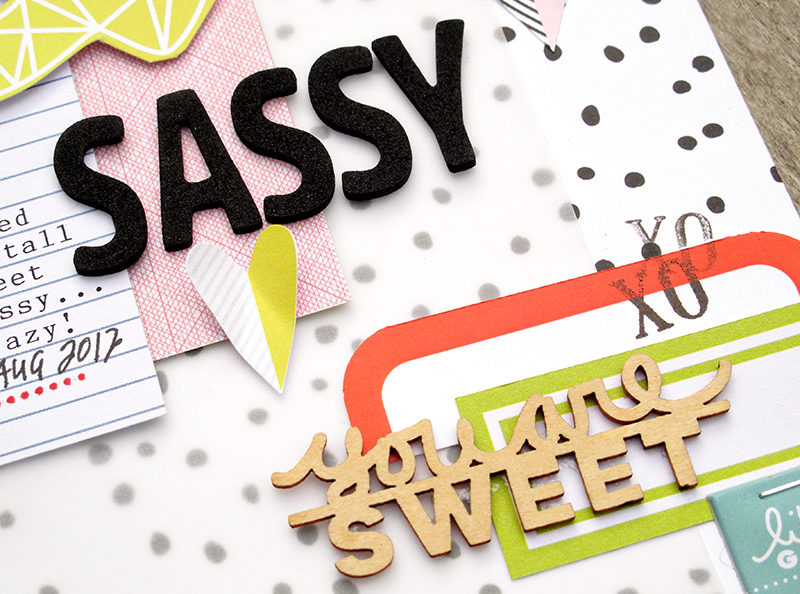 As usual Evalicious’s wood veneer sentiments are adorable & fabulous on any page. For added color accent, I painted ‘Life is Sweet’ with lime green & magenta with stunning results. It really draws attention of the page. 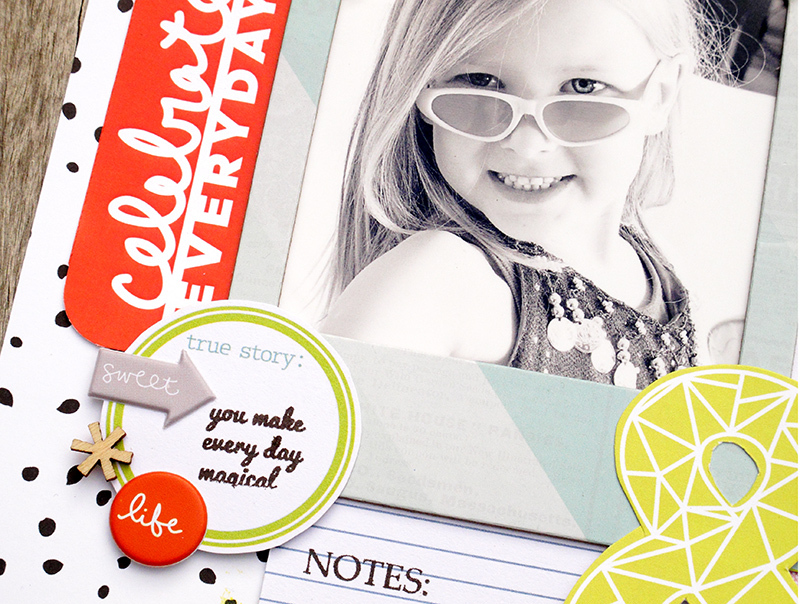 For this page, wanted a more graphic feel page with pops of bright colors on a neutral black & white spotted background! Yet more evidence of an amazingly well planned & thought out kit from Hip Kits. 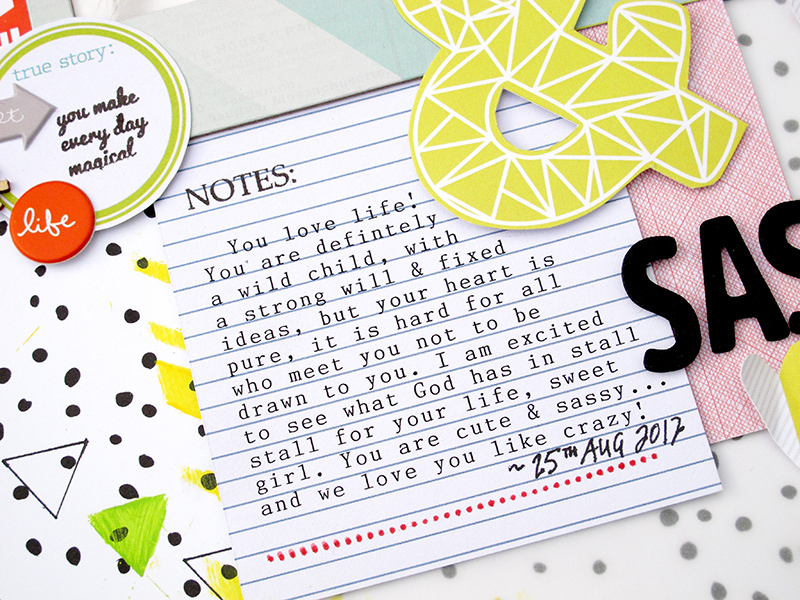 The perfect mixture of patterned papers, accents & embellishments, make designing scrapbook pages a breeze. Make sure to secure your June kits, & July kits. they are almost sold out. Tags: Chickaniddy, DT, Evalicious, Hip kit club, Layout, Pink Fresh, Pink Paislee, Scrap stash, Scrapbooking kits.